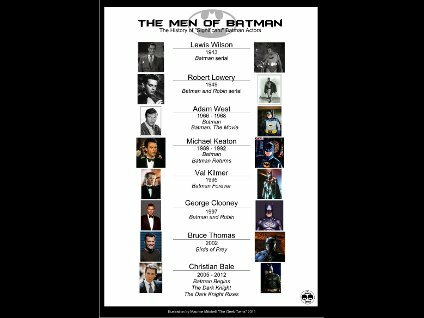 This infographic shows the history of actors who have played Batman in movies or television from Adam West to Christian Bale. Bob Kane's comic book hero Batman was first introduced in Detective Comics #27 back in 1939. 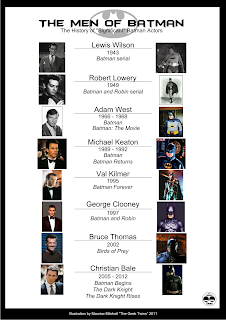 With Christian Bale retiring from playing Batman next year he follows a long line of actors who have put on the cape and cowl. There are probably some we missed, but these are the most significant. Also, I'm not including voice actors even though Kevin Conroy was amazing. Who played Bruce Wayne first? Who played him the longest? 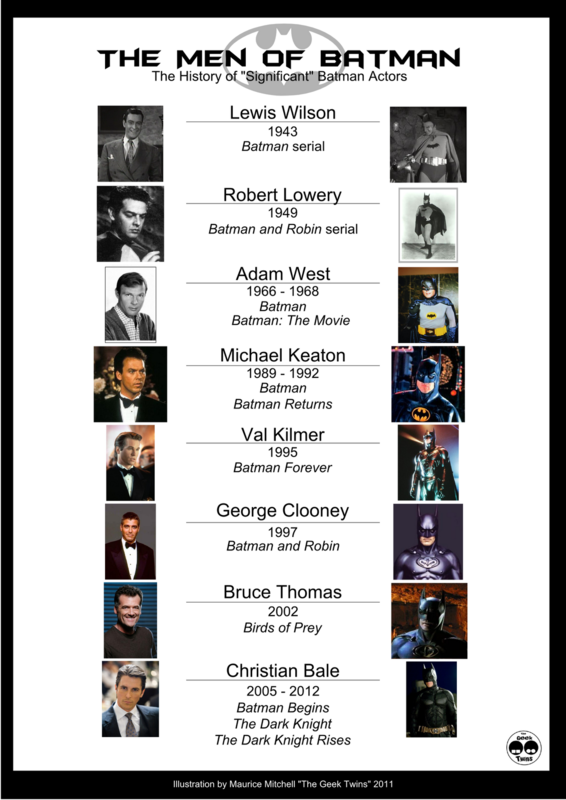 Who's your favorite Batman actor? Definitely not Adam West, although I watched the show as a kid. My favorite aspect of Batman is how differently he can be interpreted. There are many directions to go with, and they're all interesting. Personally, I prefer Michael Keaton's take of a very introverted, psychologically damaged character. Because of that, he will always be my favorite. But there is no doubting Christian Bale's brilliance or Adam West's humor. This is true. Many actors have taken different takes on him with good effect. Ummm, KEVIN CONROY, that's who's the best and the longest, and he's not on your list, which should make it invalid. Dedpool, Kevin Conroy is the greatest. This chart doesn't cover voice actors though. Nina that it's an amazing idea. I can totally see that.